Men often face the task of paying alimony and child support. A recent survey by the American Academy of Matrimonial Lawyers found that the amount of men receiving alimony and child support is increasing. 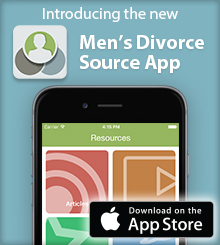 Men still face outdated stereotypes in family court, when it comes alimony and child support. Alimony and child support are difficult pills for you to swallow in post-divorce life. As a man, you have been socially assigned the notion that you are to be the one to help you ex-spouse financially recover from the divorce process and ease into her post-divorce life. You also have been assigned the task of financially providing for your children, which is a task that any active and loving parent would be happy to do. However, if you do not have a favorable child custody schedule and you do not trust your co-parent to apply the child support payments to the needs of the child, rather than themselves, it becomes challenging to accept the payments as a part of your monthly budget. There are times when you may not have the financial resources to sustain the alimony and child support payments that were assigned to you, and under those circumstances, there are many facing jail time as a result. You may be looking to modify your divorce decree, in order to combat the financial toll that alimony and child support payments have on your monthly budget. That requires the assistance of your family law attorney, who is ready and able to assist you with this task. Then again, you may be the one receiving the child support and alimony payments. According to a survey from the American Academy of Matrimonial Lawyers, 54 percent of attorneys have cited an increase in the number of mothers paying child support during the past three years. In addition, 45 percent of attorneys have seen an increase in women responsible for paying alimony. You may find yourself afraid of asking for alimony or child support. While outdated stereotypes regarding men and fathers still pervade the family law courts, it is important for your financial future, as well as the future of your children, to attempt to receive the financial assistance you feel that you are entitled to, regardless of what perceptions exist. You may have to prove your earning potential and the earning potential of your soon-to-be ex-spouse, which will require the assistance of a vocational expert. Additionally, the courts will factor in your marital contribution, marriage length, and marital fault (in some states) in any decision, regarding whether or not alimony should be awarded. The idea that you do not deserve to be awarded alimony or child support because you are a man is rooted in the perception that because of your gender, you will be able to earn enough on your own to sustain yourself and your children financially. Under that perception, your gender is all of the proof that the courts need to waive your right to alimony and child support. Similarly, that same perception is the root of the notion that because you are a man, you should be the one paying alimony and child support in the first place, regardless of your status as being the lesser earning spouse during the course of your marriage. These assumptions and false perceptions do not have any basis in a fair family court. They highlight the need that you, and many other men facing these outdated presumptions, have, in enlisting a family law attorney that understands the unique needs that men and fathers have. You, as well as men and fathers in general, deserve the same opportunity of recovering financially from the division of assets and the divorce experience, as your ex-spouse does.